what we provide our clients. What can United do for your company? A business site inspection is typically done for each perspective client that you are going to extend new service to. These inspections are also be done for existing clients, especially if you are seeing any red flags. Equipment leasing companies, banks, credit unions, finance companies and insurance companies rely on our detailed equipment inspection reports for verification of most any type of equipment. Our equipment inspection reports are used by financial and insurance organizations not just to verify the equipment being financed or insured, but to help underwriters to make decisions based upon observations regarding the state and condition of the business. ﻿Our trained inspectors will contact debtors on your behalf using our compliant, “Customer Service” approach. We can cater a program to suit your specific needs and obtain the information in the field that you require providing photo evidence to help your adjusters make informed decisions. United Field Chase is a leader in the industry for completing detailed and accurate condition reports for our clients. Prior to sending a field inspector to conduct the inspection, our internal “United Team” contacts the storage facility to notify them of the inspection. At this time, the necessary paperwork requirements are obtained so we can ensure a successful visit. 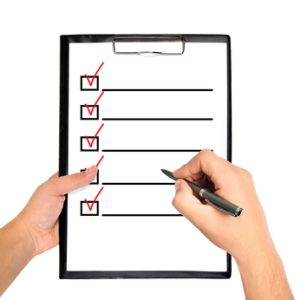 These inspections often require VSF Forms, Hold Harmless Agreement, or Title. Once the appropriate paperwork is obtained our inspectors compete a detailed report including multiple photos so your adjusters can make an informed decision regarding your collateral. Our vehicle inspections will give our client detailed information on the condition a vehicle in question. ​Our inspector will complete a detailed condition report for the vehicle, take photos of the vehicle with special concentration of any damages that are visible, as well as a photo of the neighborhood where the vehicle is located. If it is evident that the vehicle is used for anything other than normal driving, this will be documented in the inspection as well. Finally, the vehicle identification number will be documented. United Field Chase inspectors complete a detailed report of your repossession vendor’s to ensure they are operating their business in compliance with your agreement. CFPB guidelines require that the appropriate due diligence is completed on your vendors and United Field Chase can complete a detailed report for your files. 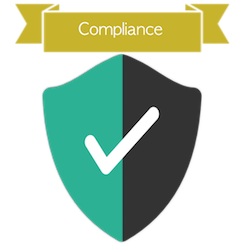 Not only will we make sure your vendor is compliant but our report will ensure your compliance showing you have taken the appropriate steps and conducted a thorough review of your vendor per your risk management policy. Residential property inspections are used by financial as well as insurance organizations throughout the United States, every day. These inspections are done on single homes, multi-family homes, condominiums and manufactured homes. ​The inspection includes an overall assessment of the property as well as an evaluation of its current condition. The inspection is a visual examination of the electrical and plumbing systems, built-in appliances and essential internal and external structural components of a residential dwelling. The inspector will seek to identify all pertinent defects exposed to their view and readily apparent on the day of the inspection. This inspection assists our client to evalute the overall condition of the dwelling.